Hornbill conservator Aparajita Datta has done India proud. The wildlife biologist was awarded a Green Oscar for her work in the field of conserving hornbills in Arunachal Pradesh. Datta has helped conserve two species of hornbills out of the 5 different ones that can be found in the zoologically unexplored and unprotected Eastern Himalayas. 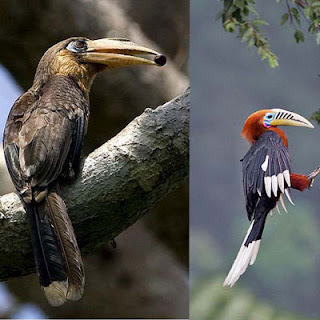 The endangered Brown Hornbill (Anorrhinusausteni) and Rufous-necked Hornbill (Aceros nipalensis) are the two birds that Datta has been studying.